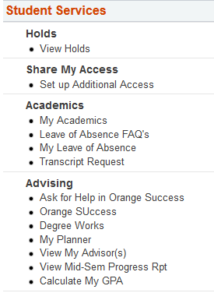 Click on the Degree Works link located under Student Services/Advising. 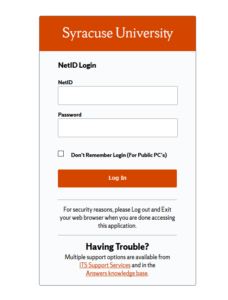 A new tab will open you where you will log in again with your NetID and Password. Once Log In is clicked, you will be brought to your audit worksheet automatically. NOTE: Students using Mac’s are asked to use Firefox as the preferred browser for Degree Works to avoid access errors.